Take the N4 in the direction of Dublin, at Coolooney (2nd Roundabout) take the N17 towards Galway. In Tobercurry take a right at the T-junction onto the R294 Ballina Road and continue to Mullaney’s cross taking a left, approximately 2.5 miles from this junction you reach the village. Aclare is a small village nestled at the foot of the Ox Mountain range. 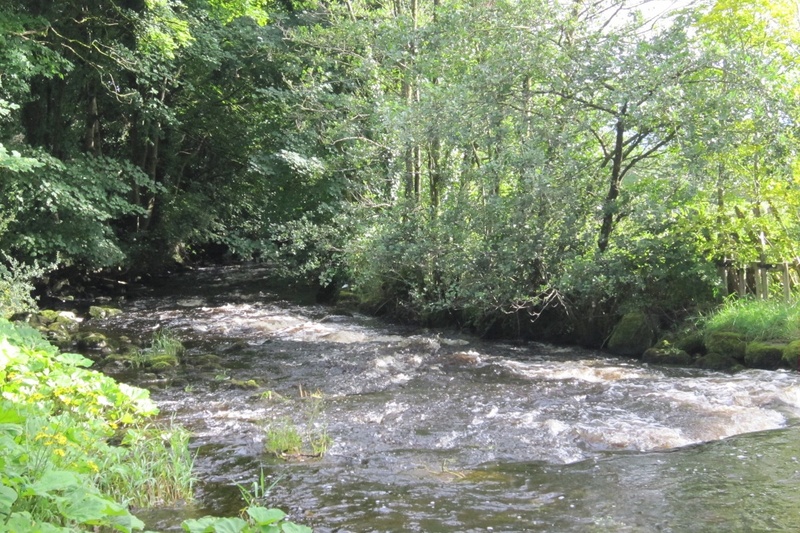 The village is situated between Tubbercurry and Swinford (Co. Mayo) in the parish of Kilmactigue on the Ineagh River which is a part of the Moy river system. It has a range of services including accommodation, grocery shopping, post office and two public houses. 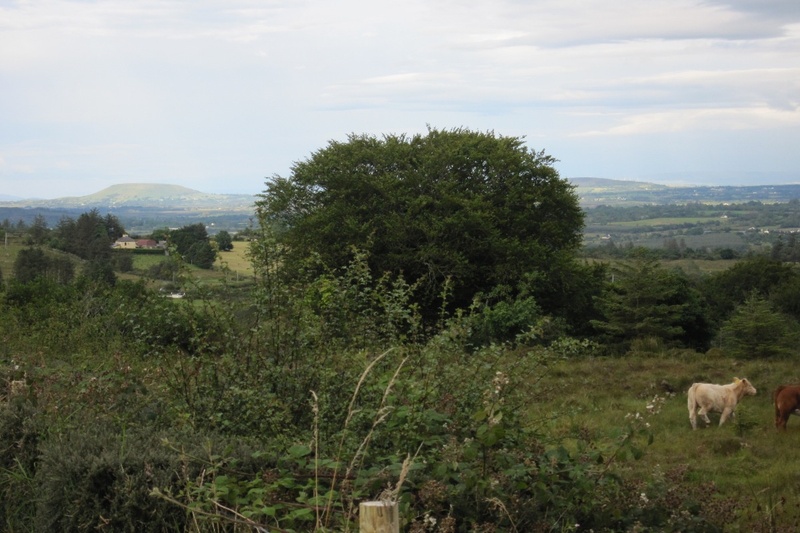 This walk explores the locality rising up into the hills behind the village. 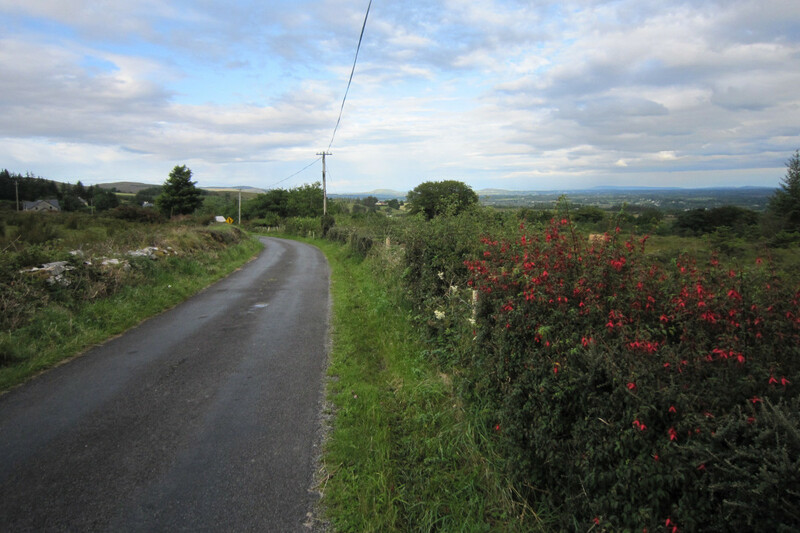 Walk west from the village towards Kilmacteige. Turn left after a short distance onto the Swinford road. Cross Lisheen Bridge and turn right again at the next junction. Take a fork right after about 15 minutes of walking. Reach a T-Junction at Belclare. Here you can take a short cut to the right towards Kilmacteige. Otherwise go left and after 100 metres, turn right along a forest road. Make your way through the forest on this track to reach a minor tarred road near Culdaly Bridge. Turn right. 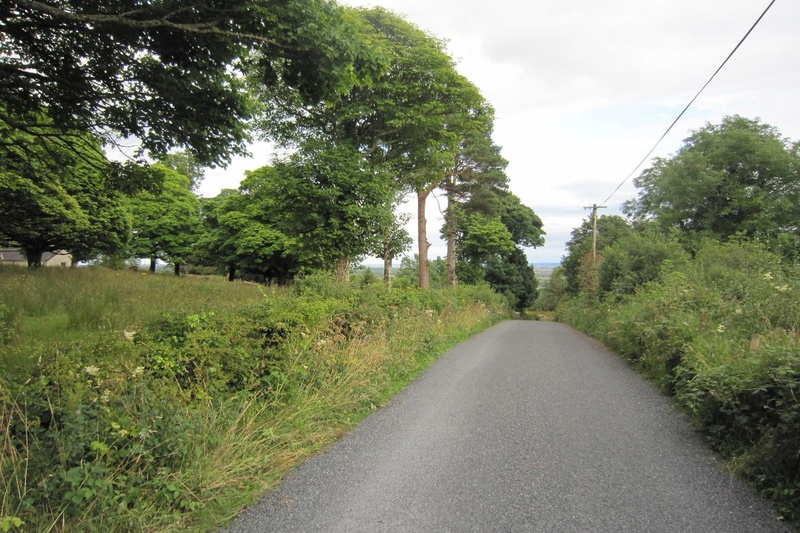 On reaching the church at Kilmacteige, turn left and head uphill on a narrow twisting road. Keep right at the next junction and then right again to return to Aclare. Approximately 1.5km south west of the village is the remains of Belcare Castle, correctly termed a tower house, which was constructed by the O’Hara clan which were chieftains or lords in this area (Leyny). Belclare Castle is thought to date back to the 15th century and would have been accompanied with a “bawn” or walled enclosure at the time of its construction.